"The reason why priests are remiss in their personal lives is that they do not offer the Sacrifice with attention and piety." 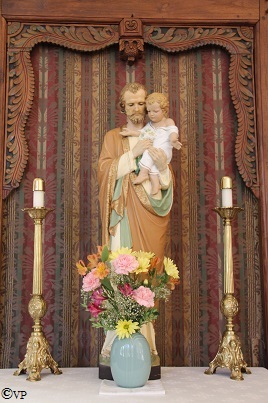 O illustrious Patriarch St. Joseph, who carried the Infant Jesus in thy blessed arms and who, during the space of thirty years, lived in the most intimate familiarity with Him, take under thy powerful protection those whom He has clothed with His authority and honored with the dignity of His priesthood, whom He has charged to continue His mission, to preach His Gospel, and to dispense everywhere His graces and blessings. Sustain them in their fatigues and labors; console them in their pains; fortify them in their combats; but above all, keep far from them all the evils of sin.